OMC Recruitment 2019 - Job notification for 28 Executive Posts in OMC, Bhubaneswar, Odisha on Regular Basis. 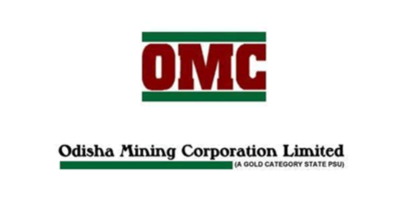 Applications are invited by Odisha Mining Corporation Limited (OMC) on or before 20 Feb 2019 for 28 vacancies. BE/ B. Tech in Mining Engg. with 1 st Class MMCC. (i)12 years of post-Degree (BE/ B. Tech.) relevant experience in open cast/ underground highly mechanized metalliferous mines out of which should have 8 years of relevant experience after acquiring 1 st Class MMCC. (ii) Preference will be given to the candidates having Unrestricted Competency as well as having exposure in IT/ Software enabled mine planning, design, development. BE/B. Tech in Mining Engg. with 1 st Class MMCC. (i) 08 years of post-Degree (BE/ B. Tech.) experience in open cast/ underground highly mechanized metalliferous mines out of which should have 4 years of experience after acquiring 1 st Class MMCC. (i) 04 years of post-Degree (BE/ B. Tech.) experience in open cast/ underground highly mechanized metalliferous mines. M.Sc. Degree in Geology or Applied Geology or B. Tech. in Geology from ISM. Should have at least 12 years’ of post-qualification experience in metalliferous Opencast/ Underground Mines in exploration, mapping, reserve estimate etc. and be familiar with UNFC for minerals. Exposure to mine planning & drawing software will be an added advantage. MBA/ PGDM in Personnel/ HR/ Industrial Relation from recognized Institute approved by AICTE or Master’s/ Post Graduation in Social Welfare/ Labour Welfare/ Industrial Relations/ Personnel Management or equivalent from a recognized University/ Institute approved by AICTE. Should have at least 04 Years’ post qualification relevant Industry experience (Mining/ Manufacturing) in Personnel Functions such as Recruitment, Promotion, Establishment matters, Employee Welfare, Contract Labour Management, Statutory Compliances, Learning & Development, Performance Management matters in any Govt./ State PSU/ Central PSU/ Other large & reputed Organizations. An associate/ Fellow member of ICAI/ ICWAI or MDA/ PGDM with specialization in Finance from a recognized University/ Institute approved by AICTE. Should have 04 years post Qualification relevant experience in Accounting/ Auditing/ Taxation in any Govt./ State PSU/ Central PSU/ Other Corporate houses of repute. BE/ B. Tech. in Civil Engineering from recognized University or Institute approved by AICTE/ UGC. BE/ B. Tech. in Mechanical Engineering from recognized University or Institute approved by AICTE. 8 years of relevant post qualification experience in planning, design, erection, maintenance & operation of heavy earth moving equipment, crushers, screens, conveyors, pumps, light motor vehicles, mineral beneficiation plants etc. 4 years of relevant post qualification experience in planning, design, erection, maintenance & operation of heavy earth moving equipment, crushers, screens, conveyors, pumps, light motor vehicles, mineral beneficiation plants etc. 8 years’ experience in Defence Service or Paramilitary Force. BE/ B. Tech. in Electrical Engineering from recognized University or Institute approved by AICTE. i). 12 years post qualification experience in Planning, Design, Erection, Maintenance, and Operational Electrical equipment. i). 08 years post qualification experience in Planning, Design, Erection, Maintenance, and Operational Electrical equipment. ii). Preference will be given to the person having experience in opencast & underground mining equipment with PLC Based Control System & having Supervisory Certificate of competency applicable to mines. i). 04 years post qualification experience in Planning, Design, Erection, Maintenance, and Operational Electrical equipment. Eligible candidates may send their application in prescribed format with attested copies of Certificates/ Testimonials , experience certificate in support of their eligibility by Speed Post/ Courier in a cover superscribed "APPLICATION FOR THE POST OF___________ " to General Manager (P&A), The Odisha Mining Corporation Ltd., OMC House, Bhubaneswar-751001 on or before 20 Feb 2019.